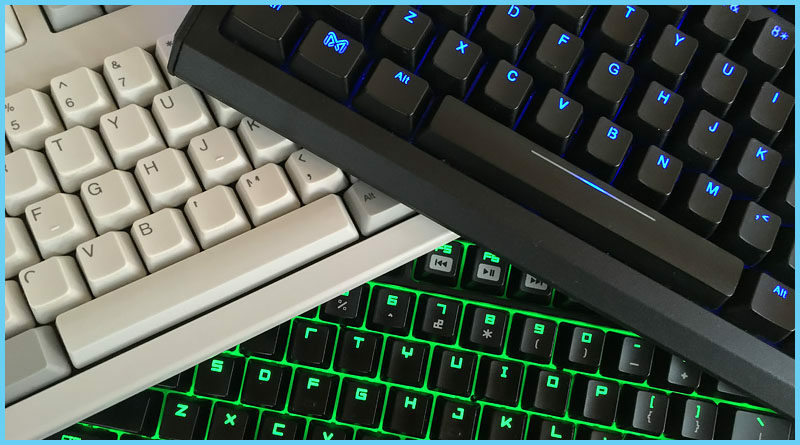 The hype surrounding mechanical keyboards has been growing for some time now, especially throughout tech and gaming circles. What was once a niche item can now easily be purchased online or even from local retailers. In recent years many major tech brands have released their own models on the market. However despite their growing popularity there are still many questions about them. These are indeed good questions. I’ve been down this path myself so I understand the confusion. I’ll attempt to quench any “mech” curiosity with a simple breakdown. The most famous mechanical keyboard in computer history is the IBM Model M.
Recognized for its rugged design and satisfying clickiness, the Model M is one of the most sought out mechs around. Released in 1985, the Model M set the standard for what a high quality practical keyboard should possess. To this day there are collectors and enthusiasts who buy these keyboards used online or at meetups. If you’ve noticed the loud and exaggerated typing sounds used in movies then you’re probably familiar with its sound. Many shows on TV and other media have overdubbed the sound of their on-screen keyboards with mechanical clicks. In comparison, today’s average keyboards tend to be crafted from cheap and flimsy parts. Exhibiting lesser form in contrast to the earlier days of computing. The standard membrane/rubber dome designs tend to wear down quicker and require replacing more frequently. The contact points lose sensitivity under the most frequent keystrokes, creating uneven feedback over time. The rubber button pads beneath the keys progressively lose their springiness, becoming increasingly mushy and unsatisfying to type on. Modern mechanical keyboards are fashioned after keyboards of the past. Embodying impressive durability and reliability, they’re usually adorned with LED backlighting among other cool modern effects. 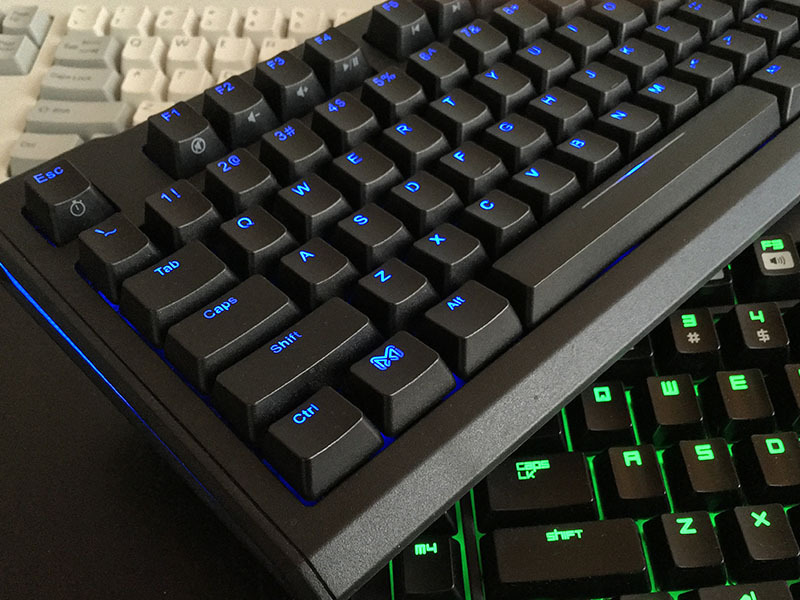 A resurgence in mechanical keyboard interest has pushed companies to release their own versions to keep up with demand. Each keyboard released with their own unique feel, software, color, or gimmick. 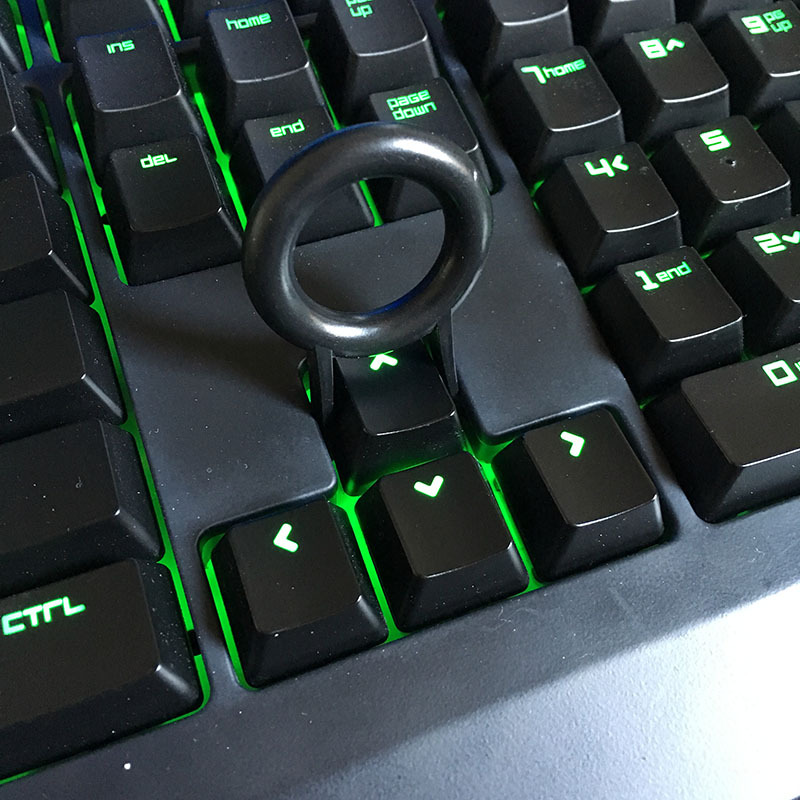 Professional typists and gamers alike have commended and attributed a boost in their own personal performance to the mechanical design. There is admittedly an unparalleled quality when using them. A preciseness and overall stability. Along with that quality usually comes a hefty price tag with most mechanical keyboards selling in the $100 – $200 range. Unlike the IBM Model M which used the buckling spring design, the modern mech uses a series of mechanical switches utilizing different mechanisms for typing. Typically when you’re looking at different mechanical keyboards on the market today they’re using Cherry brand switches. Alas purchasing a mechanical keyboard is a bit of an investment so it’s wise to try to sort out the details beforehand. The options available can initially seem overwhelming without firsthand experience. So let’s talk about the differences between Cherry MX switches and what they have to offer. Cherry is the most prominent manufacturer of mechanical switches on the market. They offer a variety of switch types in their popular MX series. Cherry MX switches are color coded to differentiate their features. 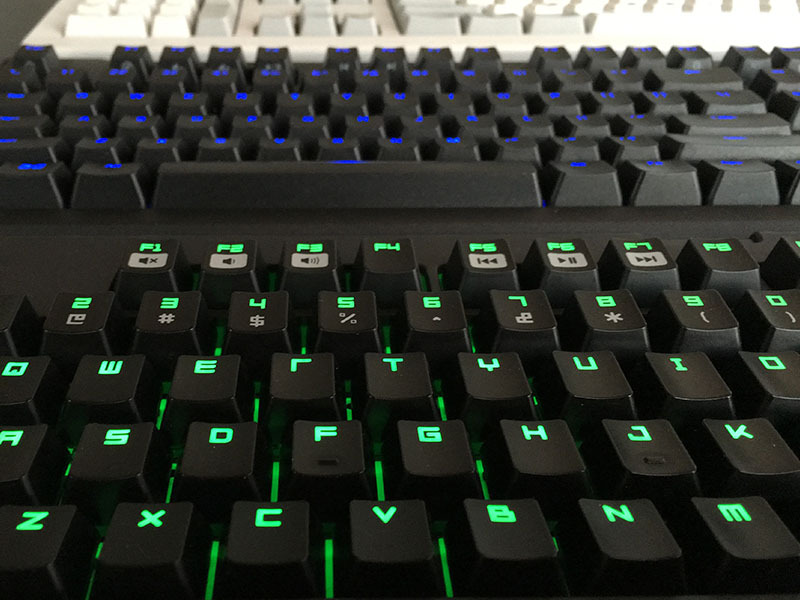 Brands such as Das Keyboard, Max Keyboard, and Cooler Master have been selling keyboards with Cherry switches for some time. Usually you can have your pick of the switch type that suits you during checkout. Take a look at the example below demonstrating a Cherry MX Blue switch being pressed. 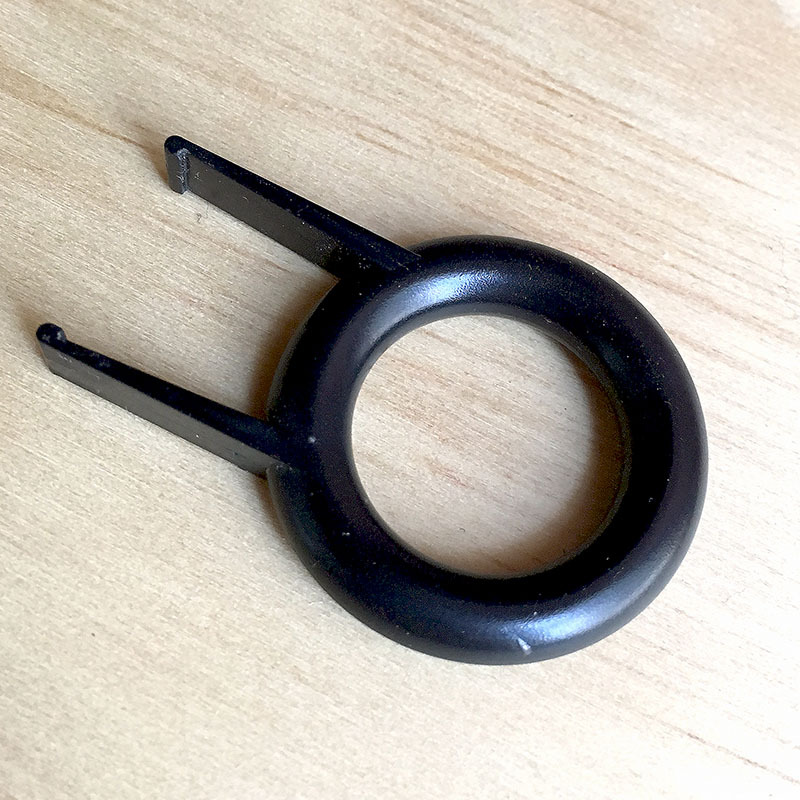 You can see how it differs from the buckling spring design of the Model M.
The mechanical click sound occurs at the actuation point; the moment when the keystroke is registered. The switch actuates about halfway down the push and is accompanied by a tactile bump. The resistant bump felt when the key is being depressed offers a different feel from the average keyboard key. This creates a unique typing experience as you’re only required to press the keys halfway before they appear on screen. 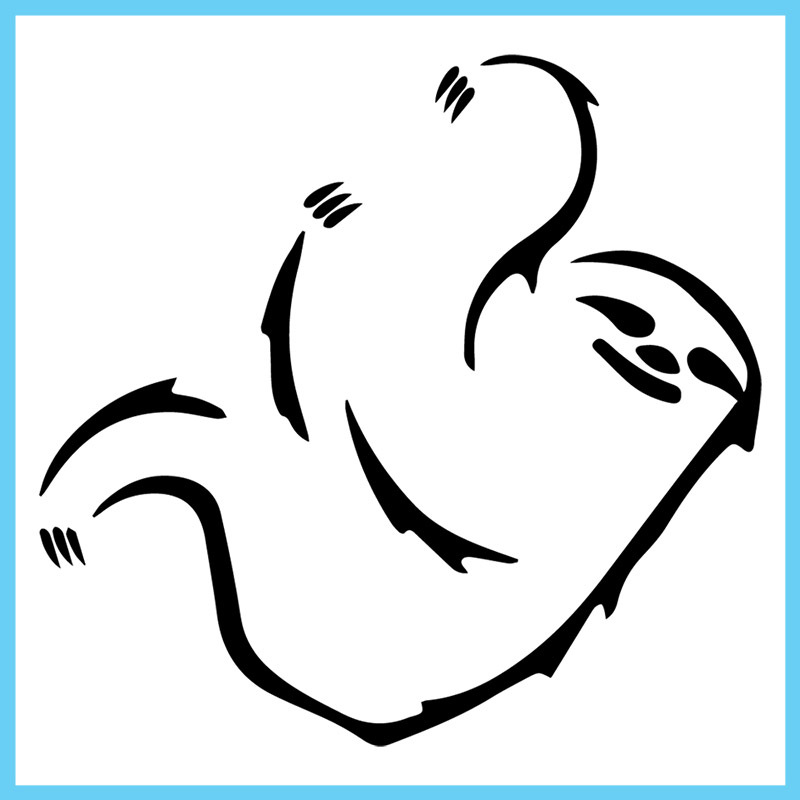 This particular trait allows for you to potentially develop a much quicker typing style. If you like the idea of the tactile bump but not necessarily the clickiness then you’ll prefer Cherry MX Brown switches for example. These switches provide a bump that can be felt halfway through the keystroke, but without a sound accompanying it. There’s also Cherry MX Red switches if you prefer the keys to “bottom out” in a linear fashion like a standard keyboard would while typing. The most common Cherry MX switches are Red, Blue, and Brown with the less common being Black, Green, and Clear. Each Cherry MX switch type/color maintains its own unique feel. I’ve created a simple guide to illustrate the difference between the Cherry MX switch types (See below). This will clarify which switches are linear, which have a tactile “bump” at the halfway point, and which switches produce an audible click sound. You’ll notice the “Force” section of the guide lists a different number next to each switch type. This number represents the amount of pushdown tension required to actuate the switch. The amount of activation force is measured in centinewtons and is abbreviated as [cN]. The Cherry MX Red is closest to the everyday keyboard in terms of the force required to register the keystroke. Despite having a similar push down tension there’s still an unmistakable satisfaction to typing with a mechanical keyboard. The overall sturdiness in design along with the mechanical keys adds a discernable liveliness to your keystrokes. – Red and Black provide no tactile feedback or audible click, they simply bottom-out when you press them. This makes them Linear switches. The difference between them is just the amount of force required pushing the keys, Black being more resilient than Red. – Blue and Green also share a similar relationship, Green requiring more force to actuate than Blue. Both have a noticeable tactile bump once a key is halfway depressed. They also produce a click sound. – Brown and Clear are basically the silent versions of Blue and Green. Desirable to those who prefer the tactile feel of Blue or Green but don’t want to annoy their coworkers etc. My first mechanical keyboard came with Cherry MX Greens and I absolutely loved the feel and sound of them. However I found that the amount of force required while typing led to missing keystrokes and frequent spelling errors. Shortly after I went ahead and bought a mech with Cherry MX Blues which completely resolved the issue. I consider myself a heavy handed typist too, so I thought Greens would have been the right choice for me. Thankfully some brands have released switch samplers that allow you to test different switch types before you make your purchase. 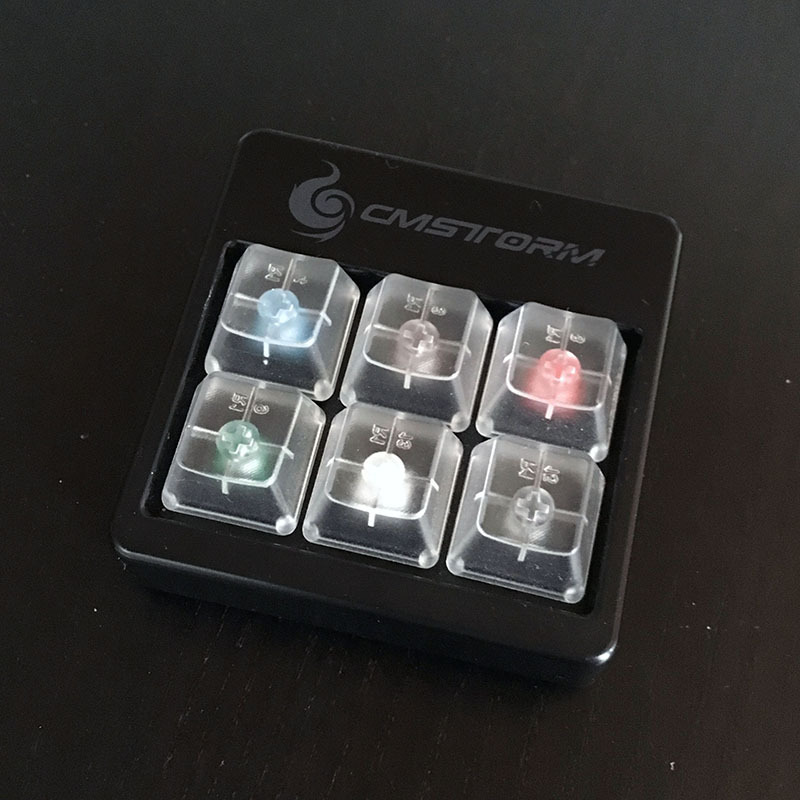 I bought this CM Storm (Cooler Master) sampler a while back to better understand the feel between Cherry MX switches. Cherry isn’t the only brand of mechanical switches out there. 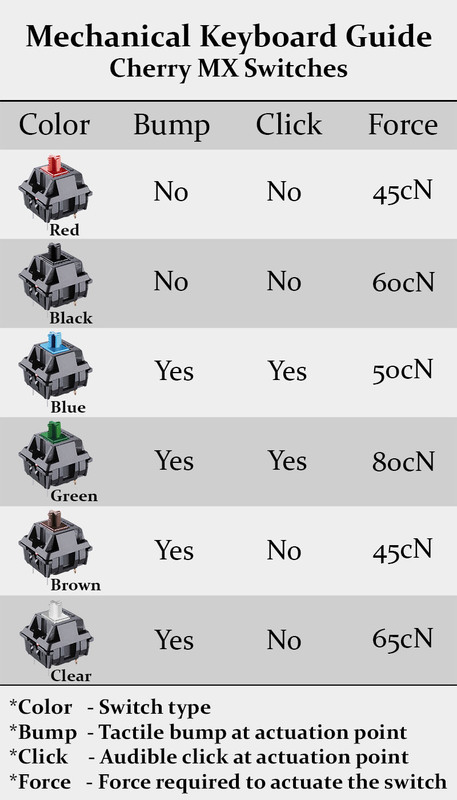 Other companies such as Kailh and Gateron produce similar switches using their own color coordinated options. Recently brands like Razer and Logitech have designed their own in-house switches and mechanical keyboards. None of these brands seem to garner the same amount of respect from enthusiasts as Cherry however. There’s even other obscure switch types out there with varying degrees of clickiness and resistance, especially outside of the US. I won’t even bother going into these other shades and shapes for sanity’s sake but they are out there. There are many styles of mechs available each with their own aesthetic values and functions. Some designs are catered towards gamers with futurist or cyberpunk embellishments while others maintain a more reserved or professional look. You can’t go wrong either way because overall it comes down to taste. You may prefer a different mech in the workplace than you would at home for example. This takes us into another area of mechanical keyboards: customization. Another beloved feature of mechanical keyboards is the ability to remove, replace, or customize the keycaps. Most mechs even come with a keycap puller allowing you to safely lift the keycaps right off of the switches. 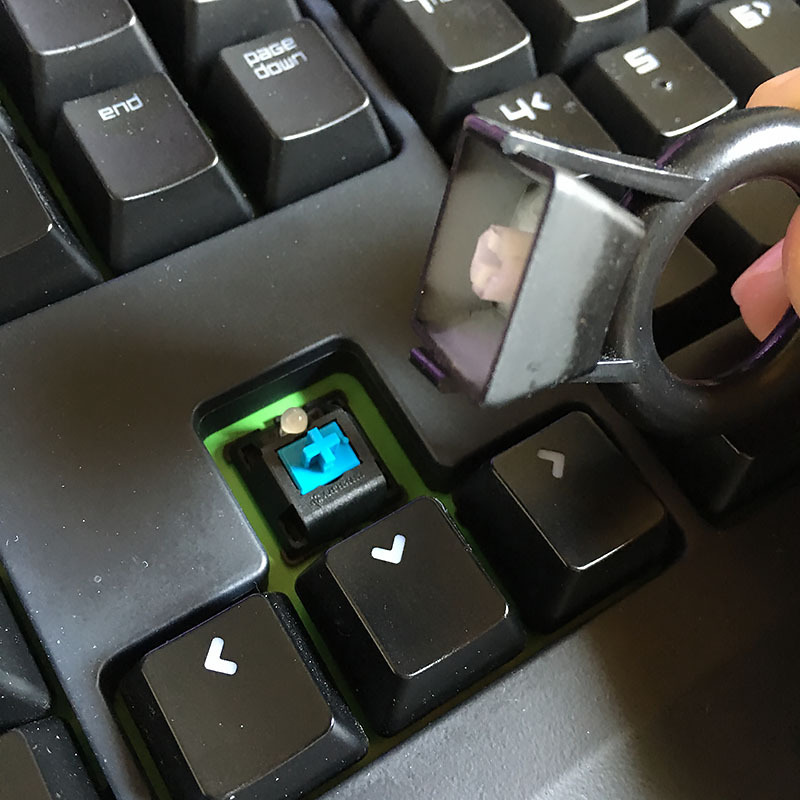 This gives you the ability to replace a fading or damaged keycap individually without having to replace the entire keyboard. The arms of the puller will expand as you push it down on the keycap. You’ll hear a click when it grips the underside of the keycap. A steady upward pull will lift the keycap right off the switch with relative ease. There’s already a plethora of custom made keycaps available online for you to pick from. This gives you the freedom to replace normal letterings with symbols or designs that you can’t experience with standard keyboards. In fact, there are websites that let you upload your own custom images that can be printed atop keycaps of your choosing. I’ve seen people using 3D printers to custom create keycaps to their heart’s desire as well. With this in mind, make sure that if you are ordering or making custom keycaps that they fit the sizing conventions of your keyboard’s layout. Not all brands use the same keycaps and you could end up with keys being too short or incompatible altogether. If you want to learn more about mechanical keyboards, there are plenty of resources available online. Some may be easier to understand than others, but hopefully at this point mechanical keyboards and the switches that occupy them are starting to make more sense. There are also communities and forums whose members will gladly help you with any questions you may have. Definitely check out /r/mechanicalkeyboards on Reddit since there is a wealth of information available on the topic. When you decide to take the mechanical keyboard plunge you should now be better prepared before you make your decision.